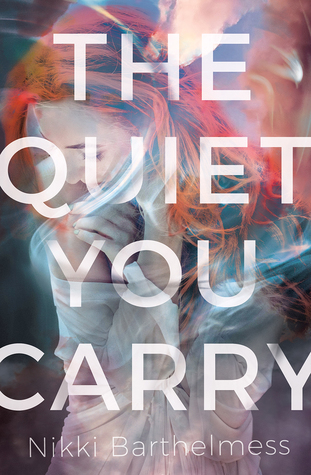 The best Young Adult books of March deliver thrilling tales across diverse genres. 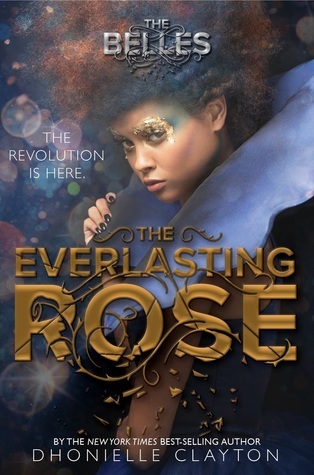 Many promise powerful love stories that challenge the fabric of time (Opposite of Always by Justin A. Reynolds), debate the very nature of beauty (The Everlasting Rose by Dhonielle Clayton) and explore romance in a musical setting (Night Music by Jennifer Marie-Thorne). Sorry, February; March wins in the swoons department. 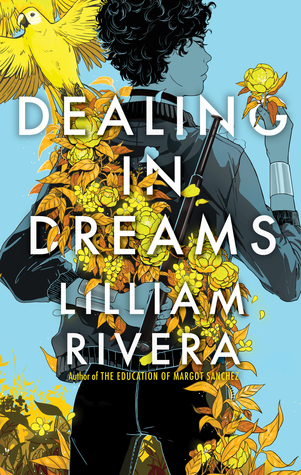 Why You’ll Love It: Lilliam Rivera’s debut, The Education of Margot Sánchez, was one of the most stunning YA contemporary novels of 2017. So I was thrilled to hear that she’s making the jump to dystopian fiction with her sophomore book. 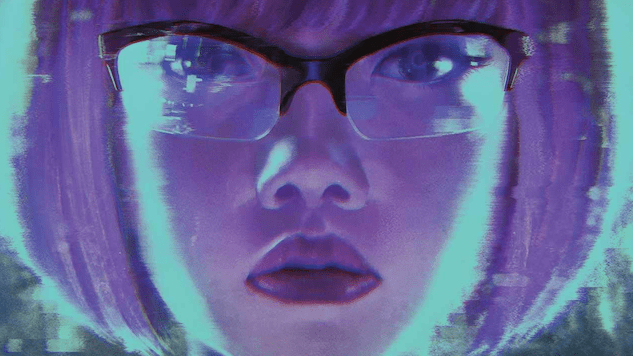 A novel about girl gangs in a crumbling future? Yes! For Fans of: Authors like Erin Bowman, Cindy Pon and Lily Anderson. Description: Nalah leads the fiercest all-girl crew in Mega City. That roles brings with it violent throw downs and access to the hottest boydega clubs, but the 16-year-old grows weary of the life. Her dream is to get off the streets and make a home in the exclusive Mega Towers, in which only a chosen few get to live. To make it to the Mega towers, Nalah must prove her loyalty to the city’s benevolent founder and cross the border in a search for a mysterious gang the Ashé Ryders. Led by a reluctant guide, Nalah battles other crews and her own doubts, but the closer she gets to her goal, the more she loses sight of everything—and everyone—she cares about. Nalah must do the unspeakable to get what she wants: a place to call home. But is a home just where you live? Or who you choose to protect? Why You’ll Love It: The sequel to The Belles, Dhonielle Clayton’s bestselling hit (and one of Paste’s favorite YA novels of 2018), is here! It’s a gorgeous series that challenges the very nature of beauty, and the second book promises more of Clayton’s stunning prose and lush world building. For Fans of: Scott Westerfeld’s Uglies series and authors like Justina Ireland. Description: Camellia Beaureguard, the former favorite Belle, must race against time to find the ailing Princess Charlotte, who has disappeared without a trace. The evil queen Sophia’s imperial forces will stop at nothing to keep Camille, her sister, Edel, and her loyal guard, Rémy, from returning Charlotte to the palace and her rightful place as queen. With the help of an underground resistance movement called the Iron Ladies—a society that rejects beauty treatments entirely—and the backing of alternative newspaper the Spider’s Web, Camille uses her powers, her connections and her cunning to outwit her greatest nemesis, Sophia, and attempt to restore peace to Orléans. But enemies lurk in the most unexpected places, forcing Camille to decide just how much she’s willing to sacrifice to save her people. Why You’ll Love It: There’s something so thrilling about an alien invasion novel that takes place after the invasion. How do you pick up the pieces of a broken life? How do you keep going, surrounded by horror? Laura Pohl’s novel answers those questions, exploring what surviving and learning to trust one another looks like in a fallen world. For Fans of: Rick Yancey’s The 5th Wave series. Description: Clover Martinez has always been a survivor, which is the only reason she isn’t among the dead when aliens invade and destroy Earth as she knows it. When Clover hears an inexplicable radio message, she’s shocked to learn there are other survivors—and that they’re all at the former Area 51. When she arrives, she’s greeted by a band of misfits who call themselves The Last Teenagers on Earth. 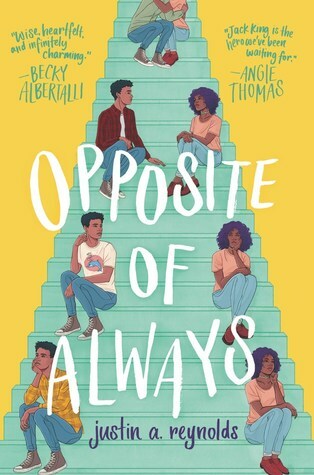 Why You’ll Love It: One of Paste’s most anticipated YA books of 2019 is here, and I’m so excited for people to read this genre-bending novel of first love, time travel and tragedy. It’s unlike anything I’ve ever read in YA, and you don’t want to miss this one. Description: When Jack and Kate meet at a party, bonding until sunrise over their mutual love of Froot Loops and their favorite flicks, Jack knows he’s falling—hard. Soon she’s meeting his best friends, Jillian and Franny, and Kate wins them over as easily as she did Jack. Yet Kate’s death sends Jack back to the beginning, the moment they first meet, and Kate’s there again. Healthy, happy and charming as ever. Jack isn’t sure if he’s losing his mind. Still, if he has a chance to prevent Kate’s death, he’ll take it. Even if that means believing in time travel. However, Jack will learn that his actions are not without consequences. And when one choice turns deadly for someone else close to him, he has to figure out what he’s willing to do to save the people he loves. 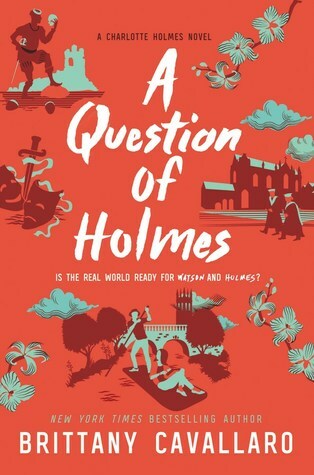 Why You’ll Love It: The fourth book in Brittany Cavallaro’s charming Charlotte Holmes series, A Question of Holmes delivers plenty of laughs and clues. Open it for the mystery, stay for the banter. For Fans of: YA spins on classic characters by authors like Sara Benincasa and Mackenzi Lee. Description: Charlotte Holmes and Jamie Watson finally have a chance to start over. With all the freedom their pre-college summer program provides and no one on their tail, the only mystery they need to solve is what they are to each other. But upon their arrival at Oxford, Charlotte is immediately drawn into a new case: a series of accidents befell the theater program at Oxford last year, culminating in a young woman going missing on the night of a major performance. When Watson and Holmes join the theater program, the “accidents” start anew, giving them no choice but to throw themselves into the case. But as the complicated lines of friendship, love and loyalty blur, time is running out—and tragedy waits in the wings. Why You’ll Love It: Full disclosure: I blurbed this book—and for good cause! It’s a beautiful, heart-rending story about a teen girl in foster care who’s attempting to hide what happened to her. You can read an excerpt from this gorgeous novel here. For Fans of: Authors like Shannon Gibney and Nicole Chung. Description: Victoria Parker knew her dad’s behavior toward her was a little unusual, but she convinced herself everything was fine—until she found herself locked out of the house at 3:00 a.m., surrounded by flashing police lights. Now, dumped into a crowded, chaotic foster home, Victoria has to tiptoe around her domineering foster mother, get through senior year at a new school and somehow salvage her college dreams—all while keeping her past hidden. But some secrets won’t stay buried, especially when unwanted memories make Victoria freeze up at random moments and nightmares disrupt her sleep. Even worse, she can’t stop worrying about her stepsister Sarah, left behind with her father. All she wants is to move forward, but how do you focus on the future when the past won’t leave you alone? Why You’ll Love It: If you were captivated by Laurie Halse Anderson’s beautiful books, from Speak to Wintergirls to The Impossible Knife of Memory, you don’t want to miss her poetic memoir. Written in free verse, Shout is one of the most important YA books this year. For Fans of: Authors like Jacqueline Woodson and Cordelia Jensen. 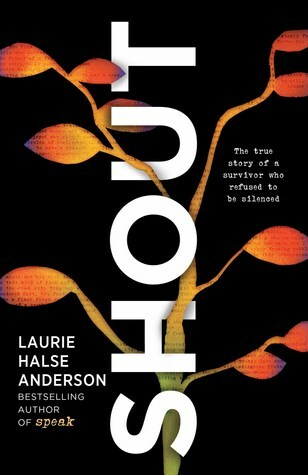 Description: Bestselling author Laurie Halse Anderson is known for the unflinching way she writes about, and advocates for, survivors of sexual assault. Now, inspired by her fans and enraged by how little in our culture has changed since her groundbreaking novel Speak was first published 20 years ago, she has written a poetry memoir that is as vulnerable as it is rallying, as timely as it is timeless. Anderson shares reflections, rants and calls to action woven between deeply personal stories from her life that she’s never written about before. Searing and soul-searching, this important memoir is a denouncement of our society’s failures and a love letter to all the people with the courage to say #MeToo and #TimesUp, whether aloud, online, or only in their own hearts. For Fans of: The movie Super 8, but with teens? I know that’s not a YA novel, but it’s kind of perfect. Description: Almost everyone in the small town of Splendor, Ohio, was affected when the local steel mill exploded. If you weren’t a casualty of the accident yourself, chances are a loved one was. That’s the case for 17-year-old Franny, who, five years after the explosion, still has to stand by and do nothing as her brother lies in a coma. In the wake of the tragedy, Franny found solace in a group of friends whose experiences mirrored her own. The group calls themselves The Ordinary, and they spend their free time investigating local ghost stories and legends, filming their exploits for their small following of YouTube fans. It’s silly, it’s fun and it keeps them from dwelling on the sadness that surrounds them. Until one evening, when the strange and dangerous thing they film isn’t fiction—it’s a bright light, something massive hurdling toward them from the sky. 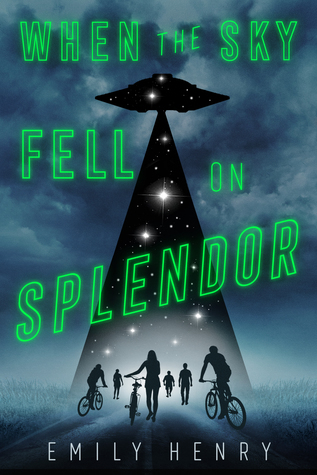 And when it crashes—and the teens go to investigate—everything changes. Why You’ll Love It: I adored Jenn Marie Thorne’s earlier novels, especially The Inside of Out, so I’m thrilled about Night Music’s release. It full of not only sigh-inducing swoons, but the social commentary she’s talented at writing. For Fans of: Authors like Stephanie Perkins, Lauren Gibaldi and Amy Spalding. Description: Ruby has always been Ruby Chertok: future classical pianist, heir to the Chertok family legacy, daughter of renowned composer Martin Chertok. But after bungling her audition for the prestigious Amberley School of Music—where her father is on faculty—Ruby is suddenly just Ruby. And who is that again? All she knows is that she wants out of the orbit of her relentlessly impressive family and away from the world of classical music for good. Oscar is a wunderkind, a musical genius. Just ask any of the 1.8 million people who’ve watched him conduct his own compositions on YouTube—or hey, just ask Oscar. But while he might be the type who’d name himself when asked about his favorite composer and somehow make you love him more for it, Oscar is not the type to jeopardize his chance to study under the great Martin Chertok—not for a crush. 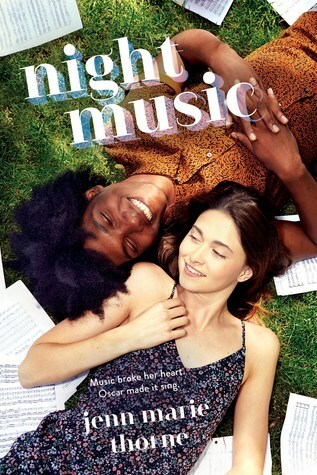 He’s all too aware of how the ultra-privileged, ultra-white world of classical music might interpret a black guy like him falling for his benefactor’s white daughter. But as the New York City summer heats up, so does the spark between Ruby and Oscar. Soon their connection crackles with the same uncontainable energy as the city itself. But can two people still figuring themselves out figure out how to be together? Or will the world make the choice for them? 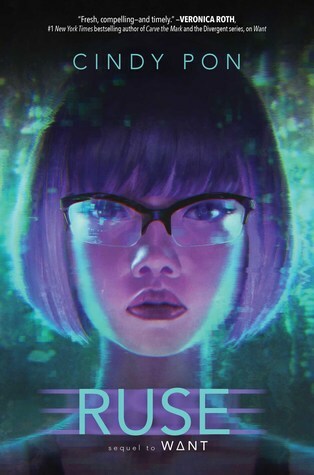 Why You’ll Love It: The sequel to Want, which was Paste’s #1 YA novel of 2017, Ruse packs the same powerful punch as book one. 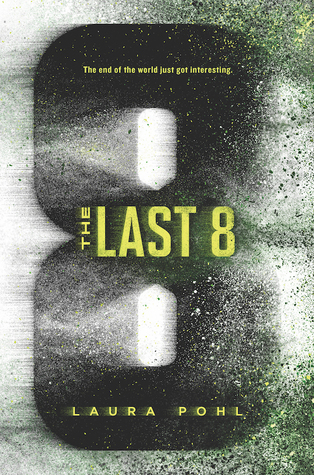 Set in a future where the wealthy wear expensive suits that protect them from the toxic environment while the poor choke and die, the novel follows a group of teens who make some horrifying discoveries. For Fans of: Authors like Jay Kristoff and Erin Bowman. Description: Spoilers for book one ahead. Jason Zhou, his friends and Daiyu are still recovering from the aftermath of bombing Jin Corp headquarters. But Jin, the ruthless billionaire and Daiyu’s father, is out for blood. When Lingyi goes to Shanghai to help Jany Tsai, a childhood acquaintance in trouble, she doesn’t expect Jin to be involved. And when Jin has Jany murdered and steals the tech she had refused to sell him, Lingyi is the only one who has access to the encrypted info, putting her own life in jeopardy.